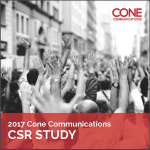 Cone Communications recently released the results of its annual CSR study, and as usual, it was packed with great insights for cause marketers. While a full breakdown of the study results can be found on Cone Communications’ website, I want to focus on three points in particular. First, perhaps not surprisingly, the study revealed that “Americans are worried about the future of important social and environmental issues due to the current political climate.” What may surprise some, though, is the fact that a majority of respondents are “looking to companies to take the lead in advocating for issues that are important to consumers.” This sentiment is strong across the aboard (63 percent of respondents are looking to businesses to be leaders in driving social and environmental change), but it is even stronger among Millennials. Seventy-one percent of this critical demographic are looking to the business community to lead this charge. 76 percent said they would refuse to buy a product from a company that supported an issue contrary to their personal beliefs. It will be interesting to see how companies respond to this expectation – as it no doubt can be a risky proposition. Take the polarizing effect of Chick Fil-A’s public stance on marriage equality. Or that of Patagonia’s well-publicized feud with the oil and gas industry over the environmental impacts of fracking. I know people on both sides of the issue in both of those cases – and they’re either staunchly loyal to those companies or they’ve vowed never to do business with them again – all depending on where their own personal beliefs fall. The good news, however, is that while people have increasingly high expectations of companies and their CSR efforts – they expect them to be authentic, and they expect more than a “one and done” event or campaign – they also don’t expect companies to be perfect in this area. In fact, 91 percent of Americans said they don’t expect perfection; they just want honesty. 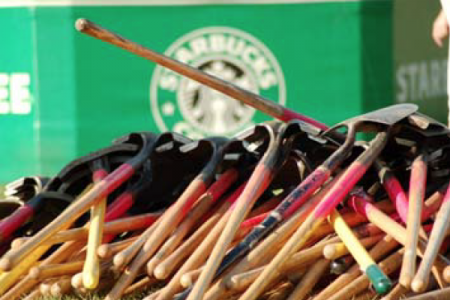 As long as a company is sincere and transparent in its support of an issue or cause, then Americans are OK with going along with that company on its CSR journey. 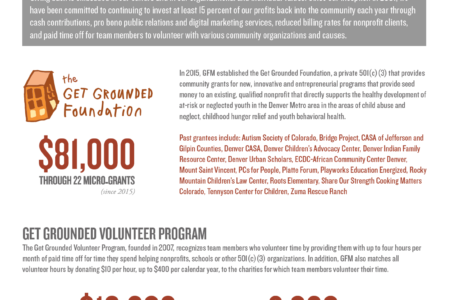 CSR programs continue to evolve from feel-good initiatives to now being tied to measurable outcomes for the impact they have on social, economic and environmental issues.